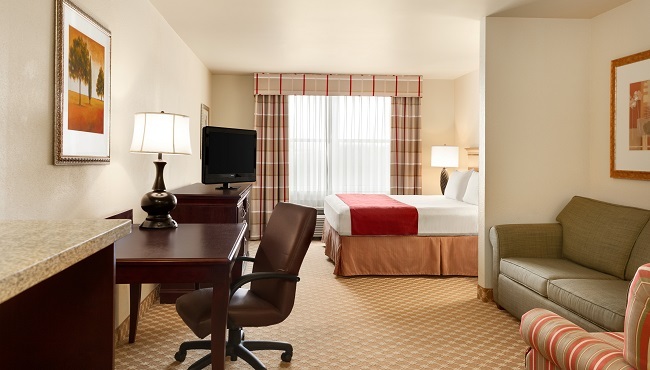 At the Country Inn & Suites, Carlisle, PA, you can put your feet up and relax in one of our inviting hotel rooms or suites. Store your favorite drinks in the refrigerator and pop a bag of popcorn in the microwave before you settle in for a memorable family movie night in front of the flat-screen TV. 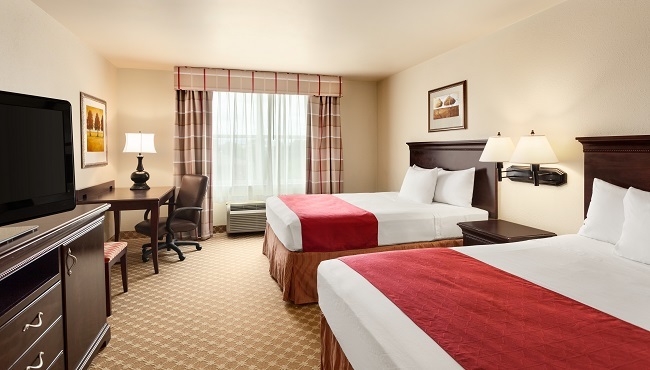 You can post pictures of your Hersheypark adventures to social media using free Wi-Fi and reenergize for the next day’s jaunts with a fresh cup of joe from the in-room coffeemaker. Traveling with a group? Reserve a One-bedroom Suite, which features a separate living area and bedroom for additional privacy. Ideal for solo travel or groups, these spacious rooms offer the choice of one king bed or two queen beds, plus all standard amenities. Each King Studio Suite features an open floor plan with a seating area, a bedroom with a king-size bed and all standard amenities. 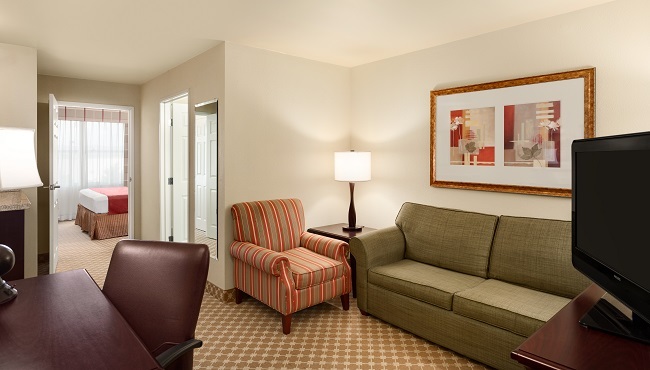 If you’re traveling with family or a group, book these spacious suites and enjoy a large living area with a sleeper sofa as well as a private bedroom with a king-size bed. All standard amenities are included. Plan a romantic getaway with your loved one in our Whirlpool Suite, which offers a king-size bed, a whirlpool tub and all standard amenities. In town for a longer period of time? 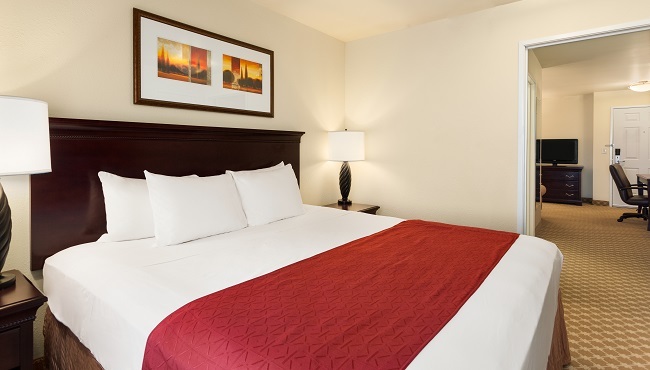 Our Extended-stay Suites offer the comforts of home with special amenities like a dining room table, a separate living area and a sleeper sofa.